Please join me in welcoming our most recent enthusiastic new members. Guy and Gale Bonas hail from Laguna Beach, CA and are non-resident members. They have a Grand Banks 46 named Stormy. Joe and Shannon Cardinale are local from Bellingham. Emily Derenne and Matt Bain are from Bellingham as well. Emily has been sailing on Wednesday nights for quite a while and we're glad to have them aboard. Mark and Lerin Swiackey join us also from Bellingham with their 33' Searay, 4SWACKS. Please make sure to offer a welcome and hello whenever you see them at the club. The Club needs help! A bookkeeper with the following desired qualifications is wanted: 3+years experience with Quick Books as a full charge bookkeeper; experience working with a club or volunteer organization; Balance Sheet and Income Statement preparation. 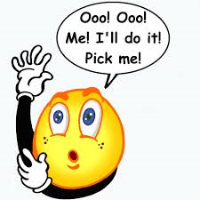 We would rather have a volunteer, but if we can't find a volunteer, we are at the point where we may have to hire a service. This is serious and we will pay a qualified person. If you are interested, curious or have a lead on someone, please contact Neil Bennett, Rear Commodore and Treasurer in confidence at 206.919.0371 or NeilRBennett@live.com. The clubhouse has been busy lately with special events, regattas, birthday parties and what-have-you. Don’t forget members have the privilege of using the club for parties and such, so check with Cathy Franklin to see when the rooms are available for your next event or social function! By popular request we are planning to continue with Steak Nites through the summer season, with the next one scheduled for Friday, July 10. We need your help, though, in the form of three or four volunteers to help take orders and deliver dinners to tables. Remember that this is largely a volunteer enterprise, which is what enables us to provide deals like this to the membership at such a low cost. If you can help out, please let Steve know at steve@buzzards-bay.net or phone 206-850-9017. WED: Club racing continues, with burgers and brats hot off the grill starting at 5. THUR: Don’t miss Monica’s Mexican, with authentic carne asada and those tasty bean burritos! FRI: Bar and lounge open. Come on down and enjoy an evening on the deck! Throw something on the grill and have a relaxing dinner on the deck! SAT: Bar and lounge open at 5! Youth classes start Monday, June 29! For the full schedule, visit the Youth website. Open to All: Women's long distance race/fun cruise. To promote and enhance sailing abilities, confidence, and to just have fun! You do not need a boat! Sign up for a crew position and we will find you a boat. Male boat owners, you are always welcome and encourged to be part of the event. Just have as many female crewmembers as you can find. Boats and crew sign up at BYC website. 5. Cocktails at club? You will need credit card, debit, or a great friend to spot you drinks! Jamie Ashton was the official PRO for the Laser District 22 Regatta. PC Michele Bodtke was also on board to lend her expertise. Looking for something fun to do over the 4th of July weekend? Join our 4th of July cruise to beautiful Garrison Bay from July 3-5. Check out the BYC website for more info. and to register. 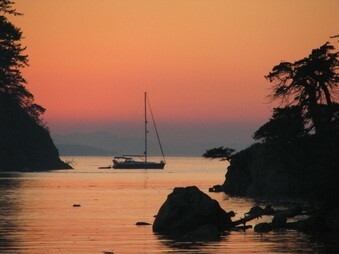 Please join us July 17-19 for our annual Family Luau cruise to beautiful Sucia Island. Show your Aloha spirit and wear your favorite Hawaiian shirt or outfit and we'll bring the leis! We have reserved the group shelter located between Shallow and Echo Bay for the entire weekend! We'll have a Hawaiian Luau on Saturday with tons of great food and games with prizes. This is a great event and fun for the whole family. For more info. and to sign up go to http://cruising.byc.org/. If you can help with this event, please email Angie Santosuosso at thetolsmas@yahoo.com. It’s Summer Time!!! Kids are out of school, the weather is warming up, days are longer and the BYC Youth Program starts this week!! It seems every time I sit down to recap the week, I always start with how busy it was. Well… this was the mother of busy weeks!! It was between sailing/racing, Father Day and my daughter, Marle graduation from Bellingham High School; Mon- BHS Baccalaureate, Tue - Dinghy Race Committee, Wed - High School Orchestra Final Concert, Thu -Honors Ceremony, Fri - Graduation Ceremony and Sat - Graduation Party. On Father’s Day Sunday, I took a Personal Day Off from family life and raced the San Juan 24 North Americans in Oak Harbor. Congratulations to my Daughter, Marlene for graduating Bellingham with Honors. Marle will be attending WU next fall and looking to follow her mom with a career in Medicine (perhaps some sailing on WU college team???). As I mentioned above, last weekend was the San Juan 24 North American’s in Oak Harbor. Representing the Bellingham Yacht Club where members Mike Kleps - “Bruce” and Jon Seestrom - “TumbleWeed”. Congratulation to team “Weed” – Jon Seestrom, Mike Poulos, Anthony Lorenz and your Commenormous for a 2nd place finish after 13 races over the two day weekend (exhausting!). Another great benefit of your BYC membership is the club sponsored Buccaneer Pirate Cruise @ Inati Bay. Planning kicked off last week with Co-Chairs, Nichole & Adam Jordon and Rick Laursen. The format will be pretty much the same… Friday Setup & Movie Night, Saturday Pirate BBQ Picnic, Dungeness Crab Derby, Treasure Hunt and Live Music and then on Sunday, Commodore’s Pancake Breakfast. At the Board meeting last week we approved new members (See Above), the final Windows on the Bay Lease Amendment, $5000 for the repair of the front flat soffit roof, $5000 for a new 29er Dinghy for the Youth Program, and a new Bulk Room Rental Rate for Member’s Boating Related Businesses. There are no big Club events on the calendar for this week… however, this is best time to come to club to relax and enjoy the comradery of members and guests. Grab a Hawaiian burger on Wed, a Monica Taco on Thursday or a TGIF refreshment on the deck overlooking the marina. For me, on Tuesday I’ll be taking my daughter to the airport for a 5 week long Europe Trip and on Wednesday I’ll be driving Jack to Mt Hood OR for a Ski Race Camp. The best part … me and Ann will have a week without kids!! Last week's photograph was taken in Balestrand, Norway. John Van Haalen correctly identified the location. taken in Barkley Sound, B.C. The challenge is to identify the specific island where this was taken. If you know the location, send your answer to drsteveross@gmail.com.